In this TED talk, Australian psychologist, author, and mom Jodie Benveniste lays out her personal mothering Wellbeing Manifesto. 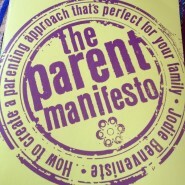 I had a few issues with her manifesto, for example with her statement “It’s not about having the best child, it’s about helping children enjoy the best in life.” While I also strive to raise my children to “enjoy the best in life,” as a JewishMOM I would say, rather, that my ultimate parenting goal is “Not about having the best child, but rather to raise spiritually, emotionally, and physically healthy children in order that they will be capable of fulfilling their G-d-given missions in life.” (I adopted this goal from my parenting teacher Dina Friedman). and I also loved her awesome idea that each of us should come up with our own personal mothering Wellbeing Manifesto. not a specific comment related to above but thought you would appreciate the article: http://www.chabad.org/library/article_cdo/aid/49159/jewish/My-Favorite-Kind-of-Night.htm really nice parenting article. Thank you for your blog post about my TED talk. It is great getting feedback. Much appreciated!